At R&G, we take pride in helping sustainable businesses inspire attitude and behaviour change to win in the market. Part of our own ongoing process is taking a look at our internal practices and finding ways to make them more sustainable. We’re excited to share our most recent change to make the switch to completely tree-free paper. Why Did We Stop Using Tree-based Paper? The positive shift away from using paper in favour of digital alternatives has only been gaining momentum. But there’s no getting around it—paper still has many useful applications for both ourselves and our clients. The move away from tree-based paper is in part due to paper being a short-term life-cycle product. It may last a couple of days, or in some cases a couple of hours before being discarded. We are happy to be making the switch to agricultural paper made out of the residue waste from sugarcane. Sugar-based paper is made from bagasse, the residue-based by-product of sugar cane after it has been processed and used in the food chain. Normally, bagasse would have typically been sent to landfills or burnt into the atmosphere. Sugarcane and bagasse are a renewable resource that can be harvested 2–3 times per year. An assessment by TruCost also found that the greenhouse gas emissions associated with sugar-based paper are around 25–50 per cent less than recycled and non-recycled paper made from trees. 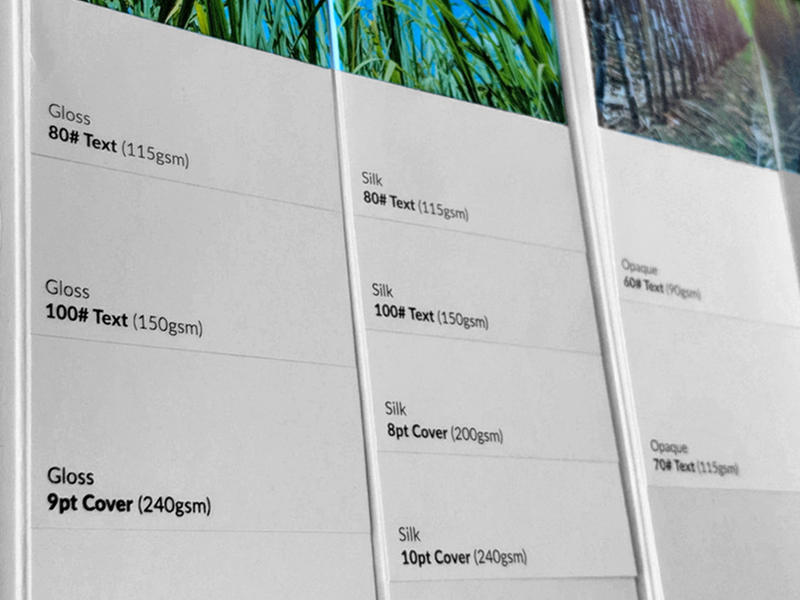 The paper looks, feels and performs to the same standards as the traditional wood fibre paper being used in today’s market. It’s also able to be priced competitively since it’s sourced from what is typically waste. From a sustainability standpoint, the relative impact on the environment is pretty amazing. At R&G, we can make everything from business cards, brochures, posters, banners and everything in between for our clients. One of those clients is gubgub, who are rethinking our food systems by producing efficient protein products like their cricket protein powder. Environmental sustainability is in the DNA of all our clients and we get excited whenever we can share a new innovation that helps strengthen their brand and aligns with their values. How can the power of small changes propel your business? We live in an increasingly competitive landscape. Businesses are realizing that striving to be sustainable isn’t only better for the environment, but it makes long-term economic sense. Beyond the financial benefits of being more efficient, there is a growing demand from consumers across industries for brands to align with their values. Sharing your sustainability efforts can set your business apart from your competitors and attract new customers who want to buy products and services from businesses making an authentic effort. When sustainability becomes your competitive advantage, the whole world wins. Interested in other ways your business can leverage sustainability to gain a competitive advantage? Get in touch and we'll talk about how to increase the return on your sustainability investment.